Gold chain and agate semi precious leaf pendant necklace by Amor Fati. 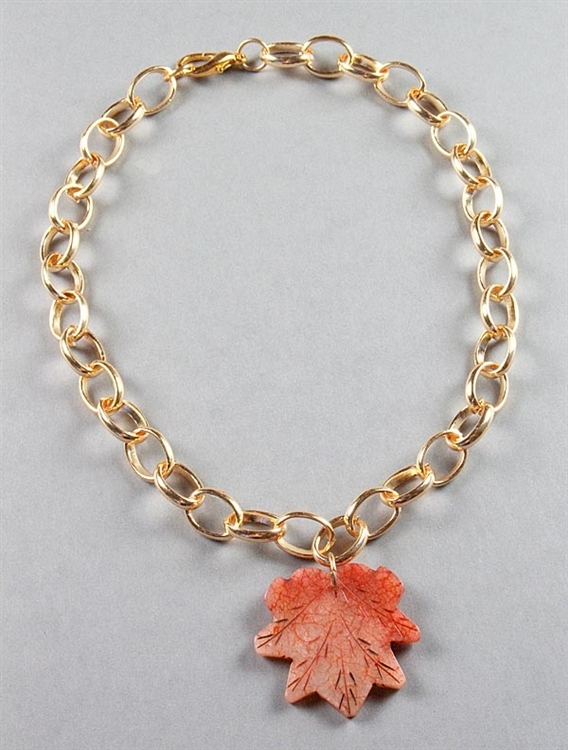 This striking designer necklace features a 45x50mm agate leaf pendant, dangling from a chunky gold plated chain. Necklace measures 52.5cm (20.5"). Chain links measure 15x20mm.